Description: On October 14, 1863, A.P. Hill’s corps stumbled upon two corps of the retreating Union army at Bristoe Station and attacked without proper reconnaissance. Union soldiers of the II Corps, posted behind the Orange & Alexandria Railroad embankment, mauled two brigades of Henry Heth’s division and captured a battery of artillery. Hill reinforced his line but could make little headway against the determined defenders. After this victory, the Federals continued their withdrawal to Centreville unmolested. Lee’s Bristoe offensive sputtered to a premature halt. After minor skirmishing near Manassas and Centreville, the Confederates retired slowly to Rappahannock River destroying the Orange & Alexandria Railroad as they went. At Bristoe Station, Hill lost standing in the eyes of Lee, who angrily ordered him to bury his dead and say no more about it. 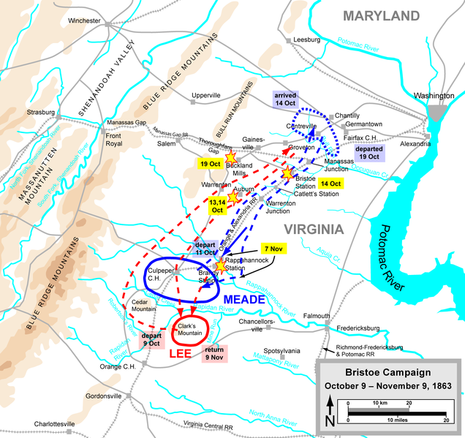 The Battle of Bristoe Station was fought on October 14, 1863, at Bristoe Station, Virginia, between Union forces under Maj. Gen. Gouverneur K. Warren and Confederate forces under Lt. Gen. A.P. 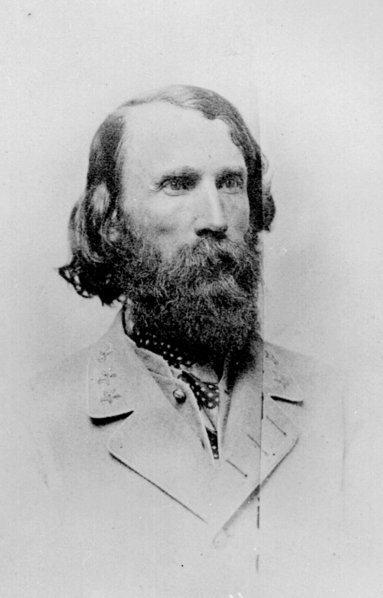 Hill during the Bristoe Campaign of the American Civil War. 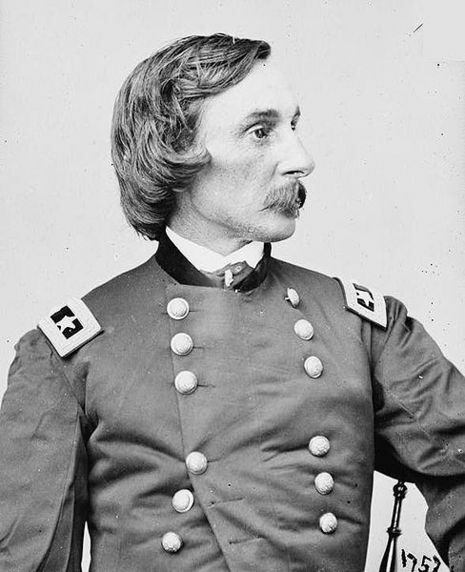 The Union II Corps under Warren was able to surprise and repel the Confederate attack by Hill on the Union rearguard, resulting in a Union victory.